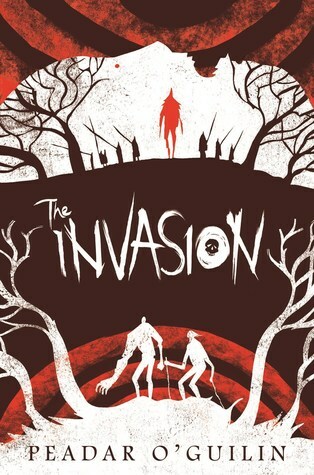 After finishing The Call I had less then 12 hours before The Invasion would be released and the audiobook would be available to me. I was looking forward to it. But it ended up on the greatest. After so much danger, Nessa and Anto can finally dream of a happy life. But the terrible attack on their school has created a witch-hunt for traitors — boys and girls who survived the Call only by making deals with the enemy. To the authorities, Nessa’s guilt is obvious. Her punishment is to be sent back to the nightmare of the Grey Land for the rest of her life. The Sídhe are waiting, and they have a very special fate planned for her. Meanwhile, with the help of a real traitor, the enemy come pouring into Ireland at the head of a terrifying army. Every human they capture becomes a weapon. Anto and the last students of his old school must find a way to strike a blow at the invaders before they lose their lives, or even worse, their minds. But with every moment Anto is confronted with more evidence of Nessa’s guilt. I give The Invasion by Peadar Ó Guilín three out of five hearts because I thought it wasn’t as great as the previous novel in the series, The Call. The Invasion was all over the place, so much that I could hardly keep track of where the pov was, on earth or in the gray land. And who the pov was. After Nessa got through her ‘Calling’ during the last novel she is on her way to join her beloved Anto in Dublin. But before she can get there she is taken of the bus she is in an put in prison because they suspect she has bribed the fairies to let her go. This is a point that annoyed me. How is it that there were no rumours about this when Nessa and Anto where in school? It feels like this was one of several point where with just a couple of rumours in the first novel Peadar could solve a lot of annoyance in a second novel. I still love the Irish mythology and the idea behind the story is still great. I just hope Peadar leave the series alone from now on. The two novels in The Call series are easy to read and fast. They are dark and has great characters. This entry was posted in Book Review and tagged Adventure, Book Review, Dystopia, Fantasy, Horror, Peadar Ó Guilín, Romance, Science-Fiction. Bookmark the permalink.